At the press event of Art Aquarium we got to see both Aya Ueto and the mayor of Kyoto, Mr. Kadokawa! 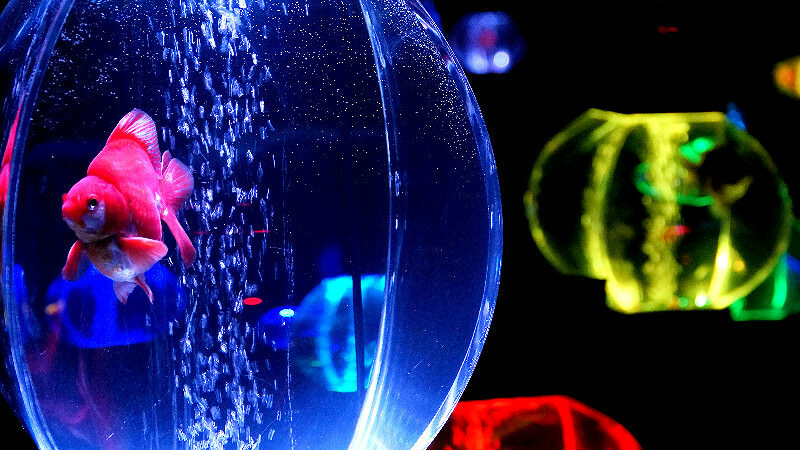 The art aquarium event takes place at Nijo Castle right now, and in it you get to see goldfish placed artistically in all types and shapes of bowls which are then illuminated at night. The colorful and vivid event is really popular, so this year they even had Aya Ueto come to say hello to the press. This year (2017) the event takes place from October 25 to December 10, so you should still have time to go see it (depending of course when you are reading this article). The event takes place at Nijo Castle which was the previous residence of the shoguns in Kyoto. 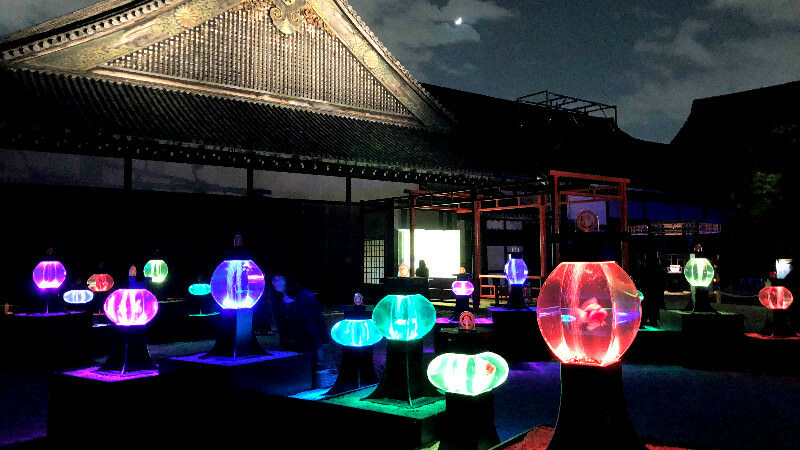 What’s special about this event is that it takes place outdoors, so you get to truly appreciate the goldfish-artwork in historic surroundings, and like in the picture, you may also get to see the Moon. 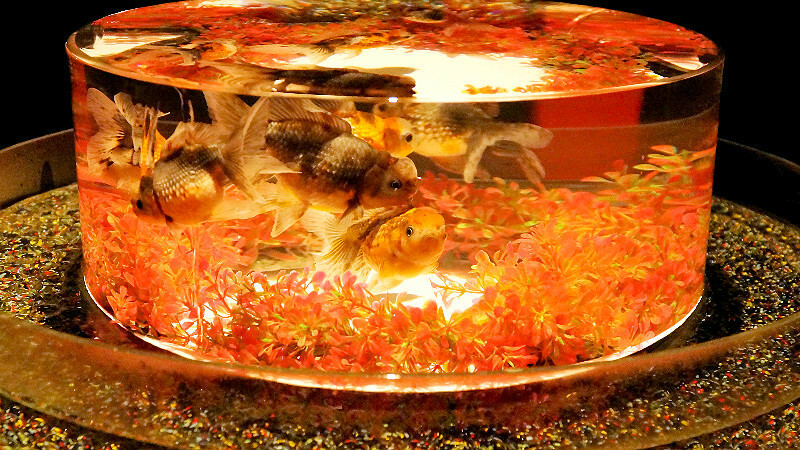 It’s quite incredible that inside the bowls you have actual live goldfish, all just swimming away happily. The experience here can safely be called surreal; you have the goldfish and the castle buildings, and together they form something that feels a bit kitsch. Back to the press event, where we got to see Aya Ueto wear an exquisite kimono made in Kyoto’s textile district Nishijin. 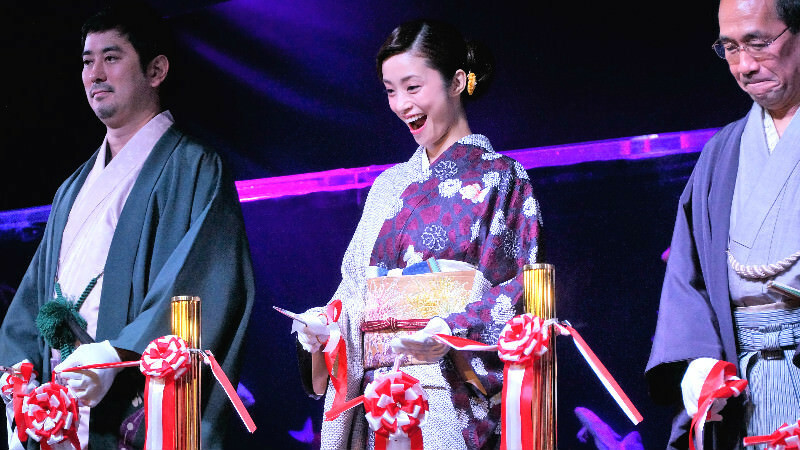 The kimono was pretty, and Aya Ueto even prettier, so the event went by in a flash. There was even a ceremony at the end, where they officially announced the Art Aquarium event to have begun. 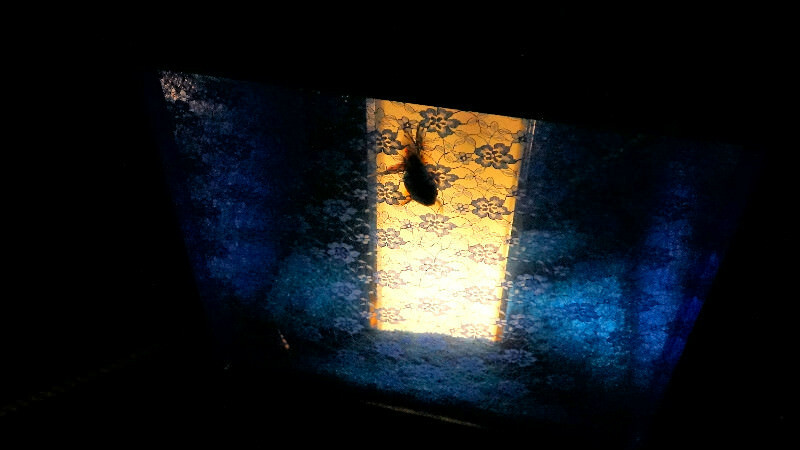 By the way, on the right side of Aya you can see the artist who designed the Art Aquarium artworks: Hidetomo Kimura. And on her left side you can see the mayor of Kyoto, Mr. Kadokawa. 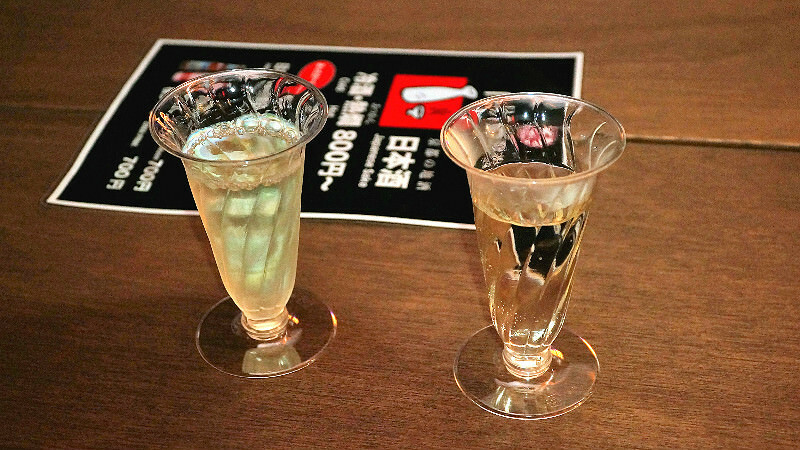 Then we got to see a dance by a geisha and a maiko, and their graceful moves kept us captivated for a moment but then we got thirsty and had to go find some sake to drink. This time we even had proper “press” badges. 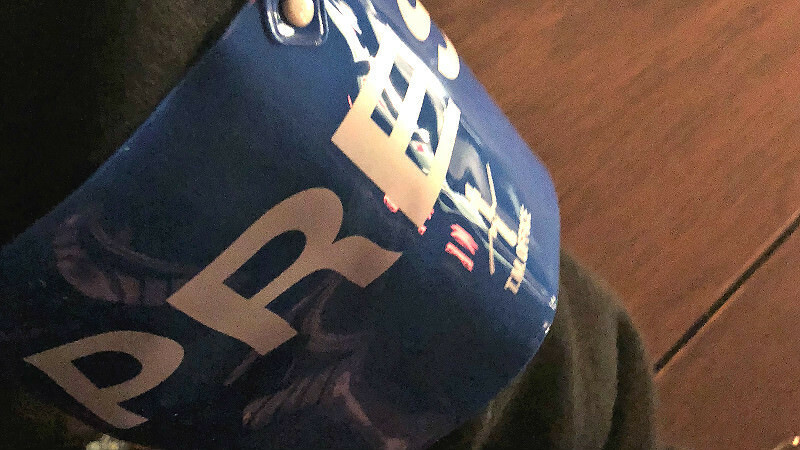 And with the press badge, you could drink sake for free! But even if you have to pay for the sake, it’s still worth it, as they have a really nice selection of good sakes from Kyoto and also from other areas of Japan. 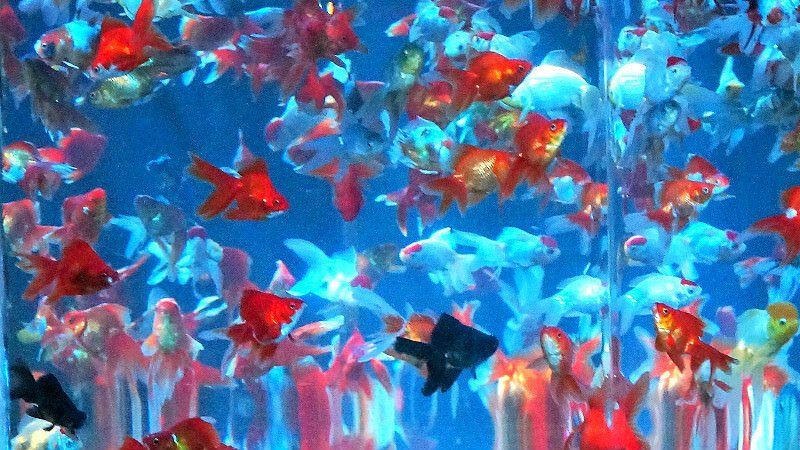 The fish are all in colored bowls but all of them seemed healthy. The bowls all look pretty and this should be a nice place to upload a few pictures to Instagram. Like usual, the beauty is in the details: if you look at the lanterns lining the path, you can see that there are goldfish inside them too. 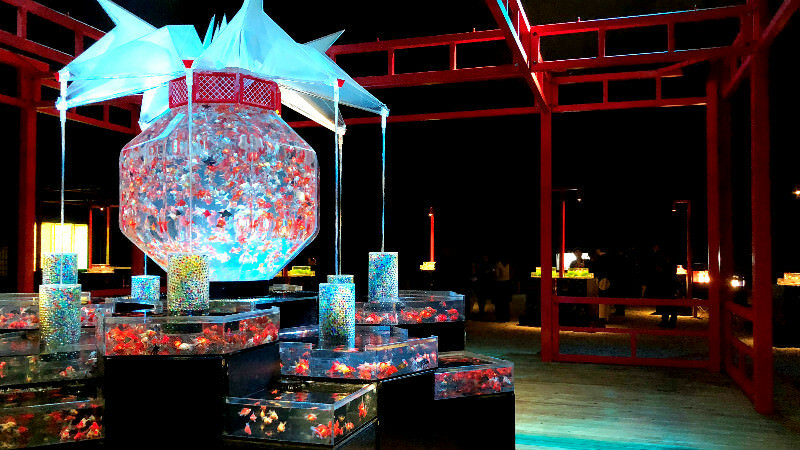 But the main artwork has to be this: the huge Cho-Oiran which contains around 3,000 goldfish. So, that’s all for today, but as you can see, there were really many people also lining up to get in. 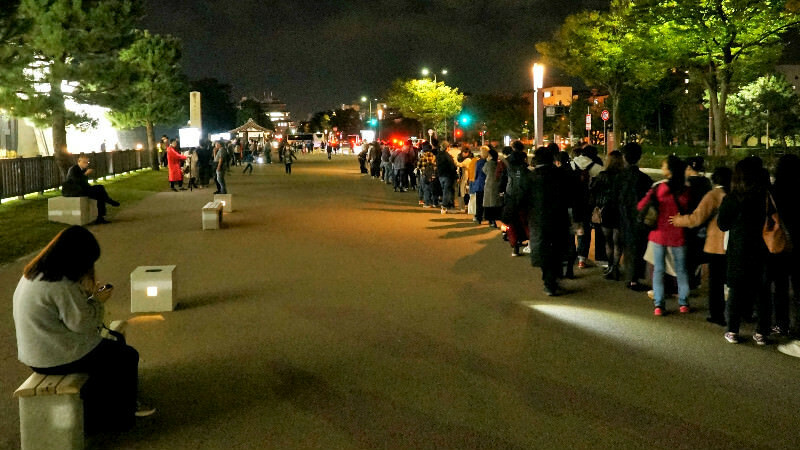 This event is so popular that you really need to be prepared to wait in line for a moment before you can get in. The event was a hit as you can see from the lines, and at the press event we got to see Aya Ueto, so for me, the evening was perfect. 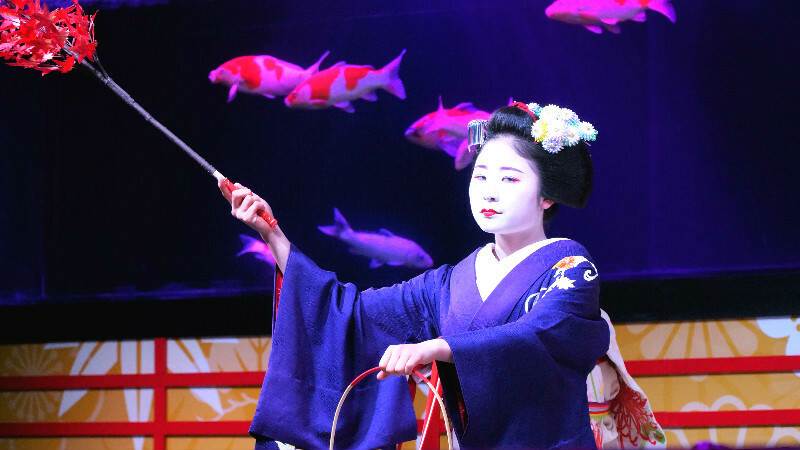 Even though normally you probably don’t get to see Aya Ueto at the event, it should still be worth going to if you want to find something interesting do at night in Kyoto, and maybe also want to have a glass of sake.